In Just Cause 4, Rico Rodriguez’s biggest enemy is not the opposing AI militia forces he needs to take down, it isn’t himself. Rico’s greatest enemy is the weather. That said, he can still glide into the path of a tornado and live. Because otherwise existing around the extreme weather conditions of JC4 would be a bit too hazardous to your health. That said, the one thing I take away from Just Cause 4 every time I demo it is that, while Rico may be at his best in the air, I certainly am not. Unless I’m driving a flying tank, that is, in which case I’m remarkably stable. Otherwise, I just tend to wingsuit poor Rico into faceplanting with a sickening impact. Both demos of Just Cause 4 I’ve done have been with live code versions of the game, because it is a sandbox game and Avalanche don’t like to show off their sandbox game in a stripped, demo version. It wouldn’t have the combination of beautiful physics in action and random code wonkiness that you expect of sandbox games. That dual feel is something integral to sandbox games, so its nice to play JC4 and know immediately what you’re getting. At least, in microcosm. 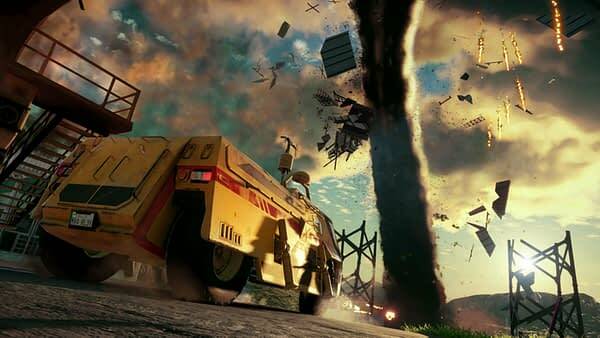 When I demoed the game back during PAX West in September, I got to play through the Storm Chaser tornado mission, while the NYCC demo was mostly just some fun sandbox shenanigans involving the various grappling hook abilities. And, honestly, despite lacking in some substance (I was just playing around blowing up fuel tanks and attaching boosters to enemy helicopters) the NYCC demo was a better taste of Just Cause 4. Because the JC franchise is built on your ability to screw around with whatever weapons and abilities you want, at any time. 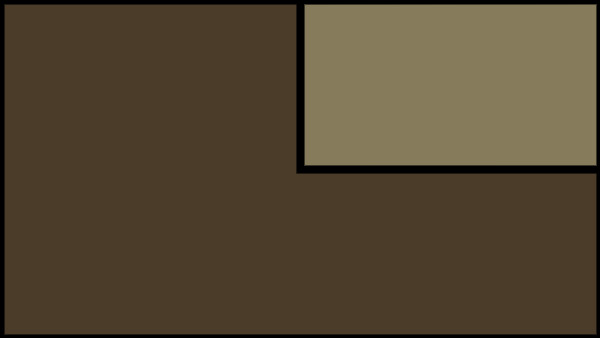 But it helps that you can call down a supply drop of pretty much anything and have it appear pretty much instantly. So, long story short, I am absolutely anticipating this one.